Polestar's debut model will be a first for the niche: a 2+2 plug-in hybrid coupe. The Polestar 1 promises 600 hp of combined power from dual powertrains, 1,000 newton meters of torque and an electric-only range of 150 km (93 miles). Volvo Cars is repositioning its racing-inspired Polestar brand to lure customers who want guilt-free high-performance vehicles that emit little to no emissions. Right now, the only brands offering those two contradictory perks in the premium segment are BMW's i subbrand and Tesla. By comparison, the two-seat BMW i8 plug-in hybrid coupe offers 362 hp, 570 newton meters and an electric-only range of 37 km. Starting in 2019, Polestar will add models to compete with Tesla's Model 3 battery-powered four-door sedan and the Model X crossover. 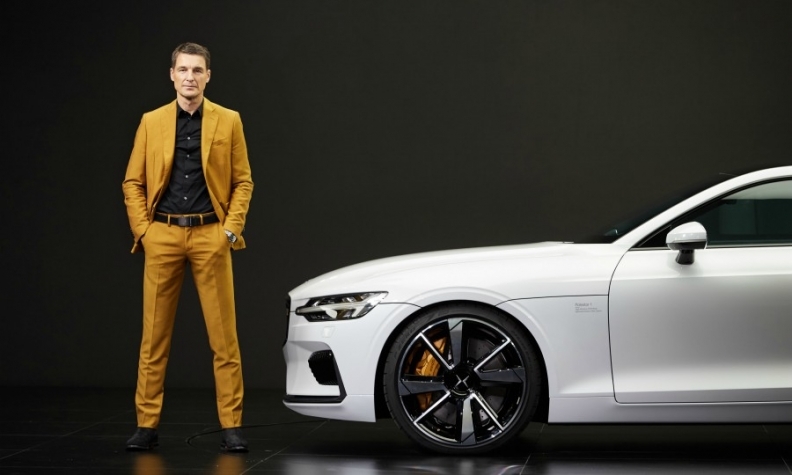 Thomas Ingenlath, Volvo's chief design officer who this summer added Polestar CEO to his title, emphasized that the brand's first model will be the most powerful car ever built in China. Production will begin in mid-2019 at a new dedicated plant in Chengdu. The Polestar 1 will also offer the best full-electric range of any hybrid car on the market now, he said. Polestar CEO Thomas Ingenlath says the 600-hp Polestar 1 will be the most powerful car ever built in China. While the Polestar 1 has attention-grabbing technical specifications, it won't cause any panic at BMW i or Tesla from a volume perspective because only 500 units of the halo car will be built a year and that level isn't expected to be reached until 2020. The reason for the low volume prediction is that the Polestar 1, which was originally supposed to be a coupe in Volvo's 90 range, will be difficult to build. The car's carbon fiber body must be bonded on to a shortened version of the S90 sedan's steel platform. As a result, the Polestar 1's starting price is estimated to be between 130,000 and 150,000 euros ($150,000-$174,000). BMW i and Tesla both expect to sell 100,000 vehicles this year. That means Polestar won't become a true challenge until its Polestar 2 full-electric compact sedan arrives in late 2019. 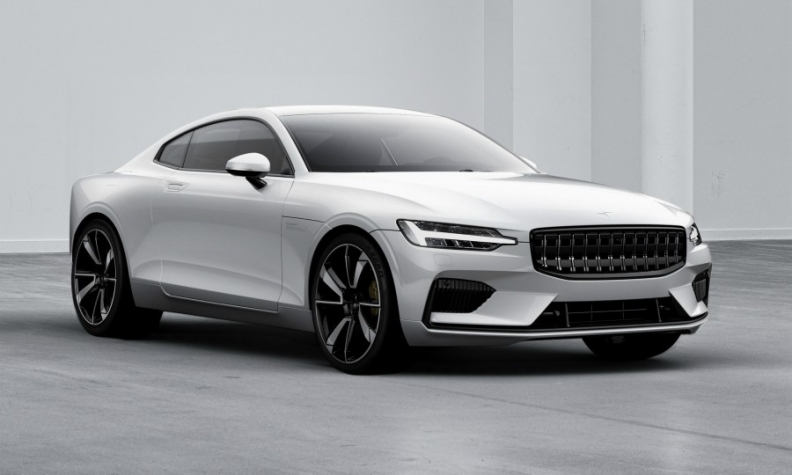 The Polestar 2, which is aimed at the Tesla Model 3, is based on the compact modular architecture (CMA) co-developed by Volvo and sister brand Geely Automobile. The first models underpinned by CMA are the Volvo XC40 and the Lynk & CO 01. The competition from Polestar will heat up further in 2021 with the arrival of the Polestar 3 full-electric low-roof crossover to rival the Model X. The crossover will be based on the second generation of Volvo’s scalable product architecture (SPA), which will underpin the next wave of Volvo and Polestar midsize and large models due early in the next decade. Polestar will launch the compact Polestar 2 EV sedan in late 2019 as a rival to the Tesla Model 3. Another way Polestar aims to set itself apart from its rivals is to move away from the traditional ownership model. Customers will not buy the cars outright, but instead will get them through a two- or three-year subscription, which is different from a lease because there is no down payment at the start of the contract and no balloon payment at the end. Polestar's subscription model borrows from the Care by Volvo service the Swedish automaker debuted with the introduction of the XC40 compact crossover this autumn. Other differences include allowing the customer to obtain the vehicles online and the ability to have all side costs for the car -- specifically maintenance and insurance -- covered as part of a monthly flat fee. Once the two- or three-year term is completed, Polestar will pick up the vehicle and allow customers to choose a new model from Polestar or Volvo. The subscription includes on-demand concierge services via a mobile app -- such as installing a temporary roof storage box for a road trip -- that can be added to the monthly fee. Polestar customers also have access to the phone-as-a-key feature, allowing them to share access to their car with family members, friends, concierge drivers and service technicians. 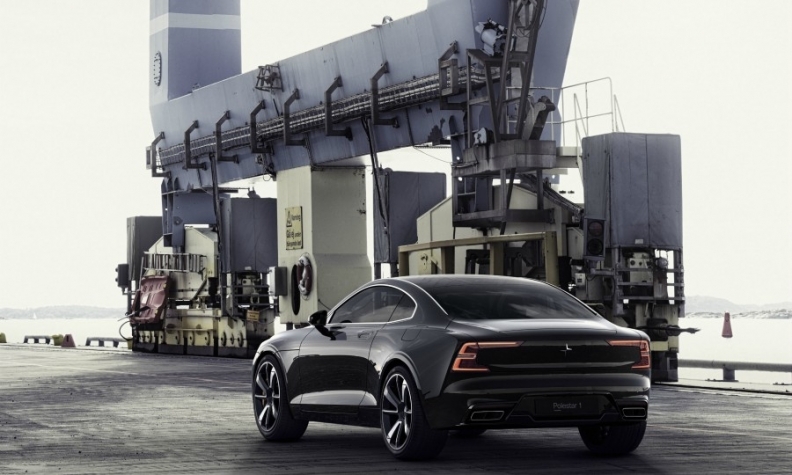 Though transactions can be completed entirely online, Polestar will also operate bricks-and-mortar sites outside of Volvo dealerships for prospective customers, called Studios. The first store is set to open in the first quarter of 2019. Polestar hasn't said where that store will be, yet. However, it said that it plans to have 80 stores worldwide.